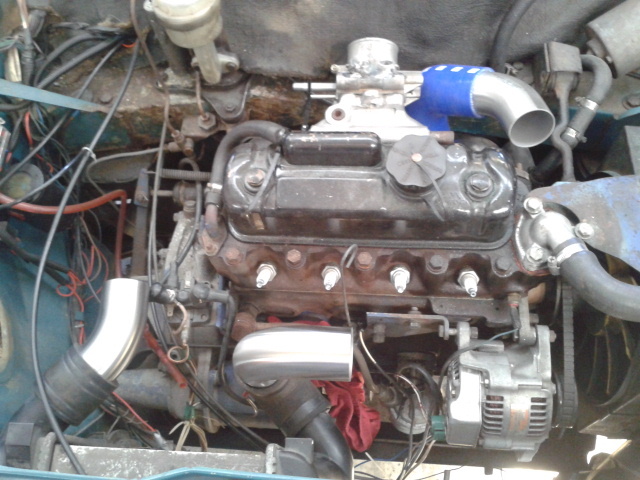 I still need to get a fuel pump, ecu etc, I will be making my own exhaust manifold, return lines to the tank, piping for the intercooler. 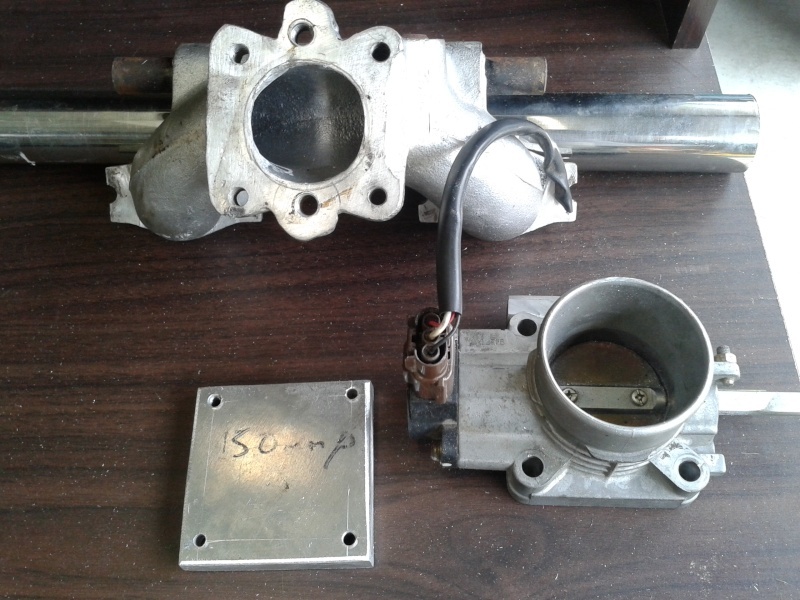 I want the car to be a good road cruiser not a mental track car; I’m looking for around 90hp from it..
i will have to port the manifold to suit or make up a spacer with a taper in it to match the throttle body to manifold face. wow heaps impressed with that! 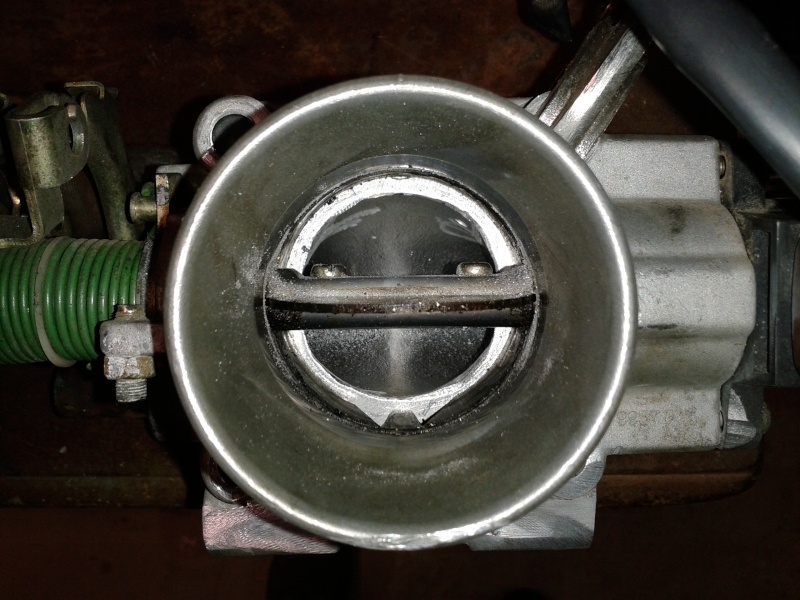 your clearance around the turbo looks better than i ever got and the injection setup is looking awsome. Nice and little and seems to be up to the task? Price seems resonable too. i hopeful will be using LS1 coils if i can get them cheap enough, if not a nice and small coil pack with std lead ends. 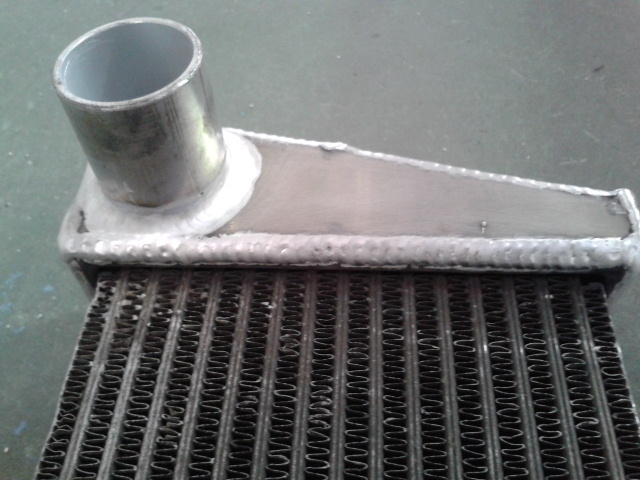 im slowly getting there, i will make up some alloy brackets for the intercooler at work over the next week, i build boats for a living so we have heaps of alloy scrap lying around. blown away dude! that looks brutal! what made you decide "bugger it, gonna be Fuel Injected"? that power figure is well achievable with those specs... glad there is some movement on this page! you doing all the welding? doing a great job. A friend of mine has a 1293 running a t2 at 12psi boost . He is using 2x 440cc i believe they were maxed out at around 115hp at the wheels so im guessing around 150-160 crank hp. Sweet , its more enjoyable doing it all yourself anyway and it least you know how it all works then. 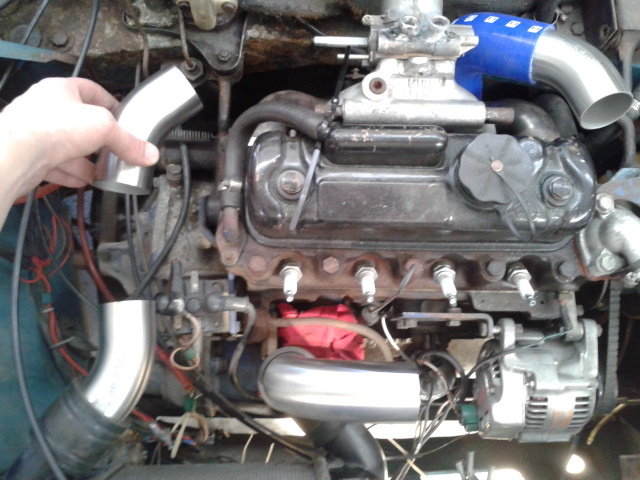 Quick update, ive bought some 90degree and 45 degree elbows in stainless for the intercooler piping, and getting some stainlesss pipe soon it all going to be in 2" (50mm). 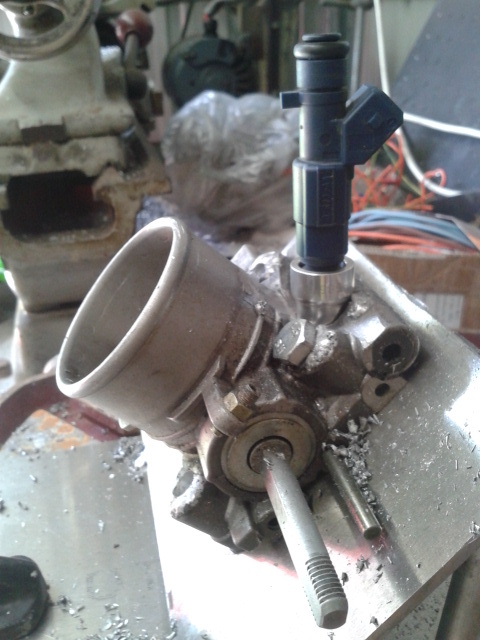 ive welded to the injector bosses into the throttle body, it turned out ok but im not happy with the result, so i will be heading back to the wreckers and getting another throttle body and making up a spacer plate with injector holes in it instead. so its so far so good. i know i was bound to have something not work out right, but thats what happens when you do these things. 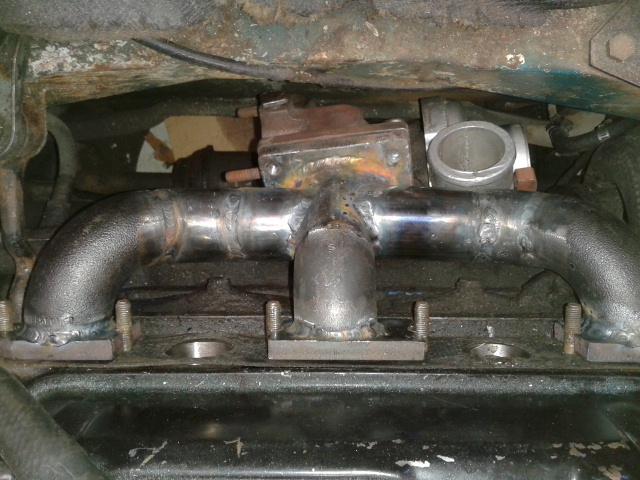 shame about te right side intercooler outlet, a 300zx standard intercooler has one straight outlet. 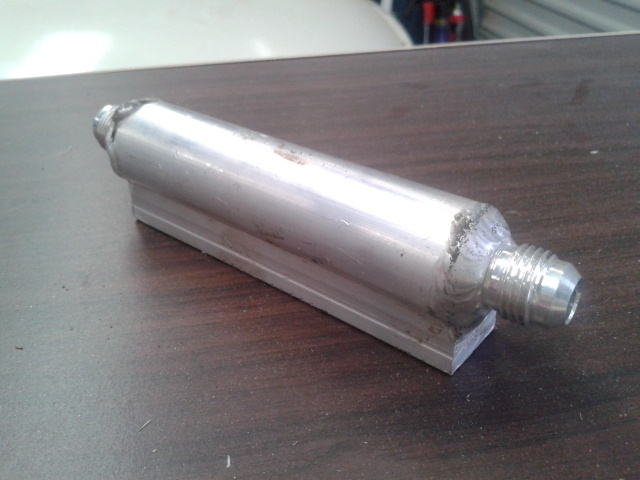 Or because you can weld aluminium, unpick the plastic end tanks and fold up some aluminium ones that will suit what you want. thats what i was thinking. 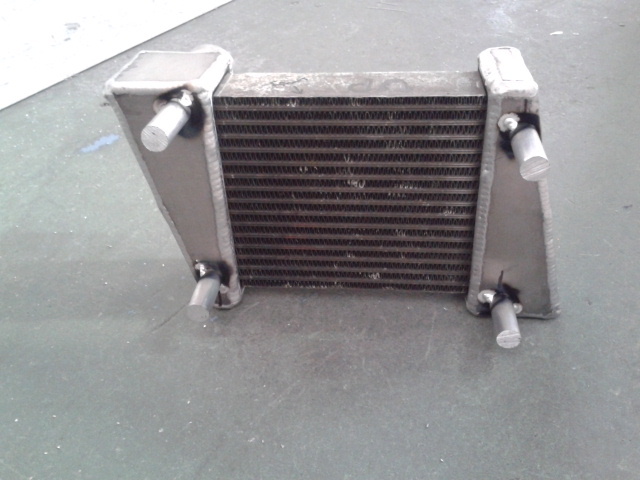 was it hard to unpick the intercooler. i most likely do that as i can setup the pipes where i want them. Yeah that was a uni-filter 60mm foam filter, i got it from a motorbike shop. 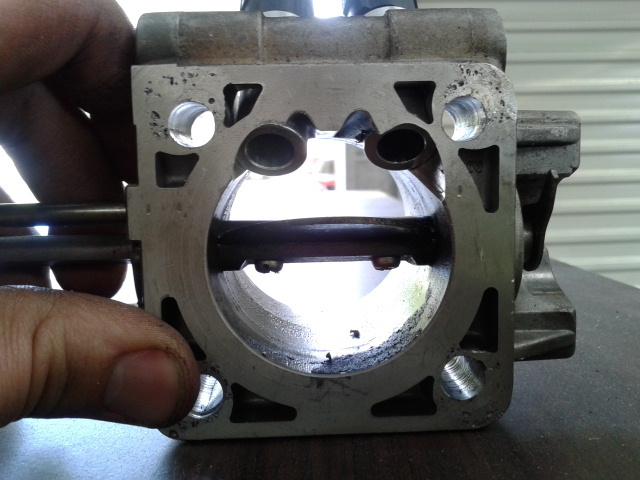 It was close but i never had any problems even though it was very close to manifold. I now have it up near the wiper motor. 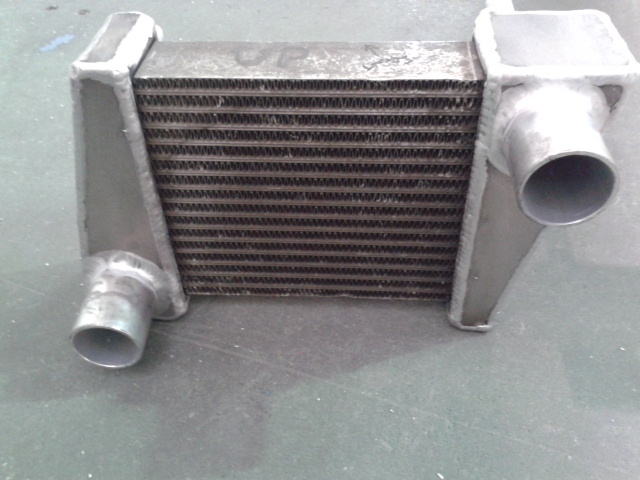 Intercooler was easy as to unpick , if you wanted could just do the one end . thanks heaps i need to move the outlet pipe that faces the passenger side as it sit in the wrong postion. i'll get on to that straight away. just an update with my intercooler i unpicked the end tanks and made some new ones up at work, just have to put the pipe into the tank to complete it, and then weld it all together, i'll tig it all up. 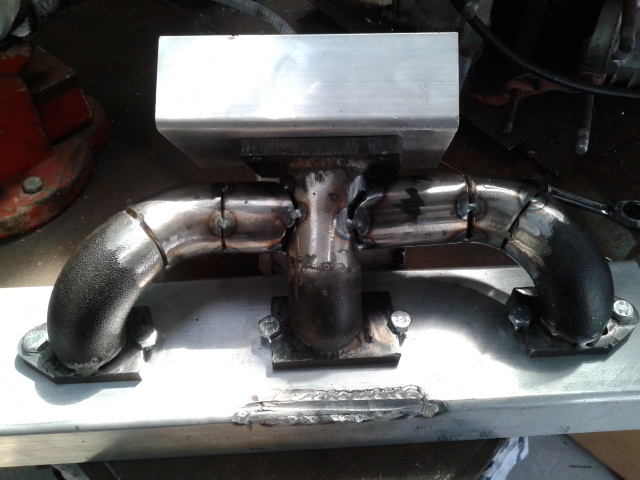 was also able to get about 2.3m of stainless steel pipe 1.6mm wall thickness and 2" (50mm) diameter thats polished for the intercooler piping, paid beer for that getting there, also got a heap of body panels there my xmas present so hopefully over xmas i will be able to get work done. 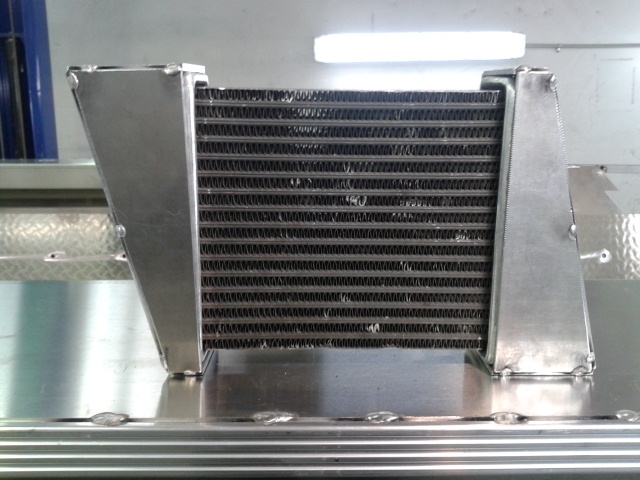 looks good , easy to do and a cheap custom intercooler. welding is heaps good ! !, plumbing should be a fair bit neater now. yeah im going to drill and tap the lugs and cut them down. 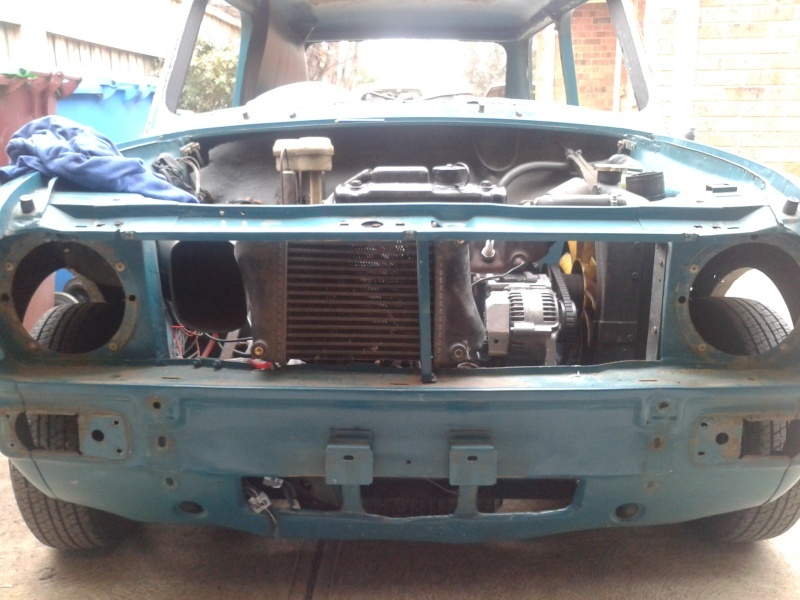 i have removed the fresh air heater pipe and made the intercooler sit nice and close to the headlight panel, im making up brackets that will bolt to the front of the intercooler like the factory one did. 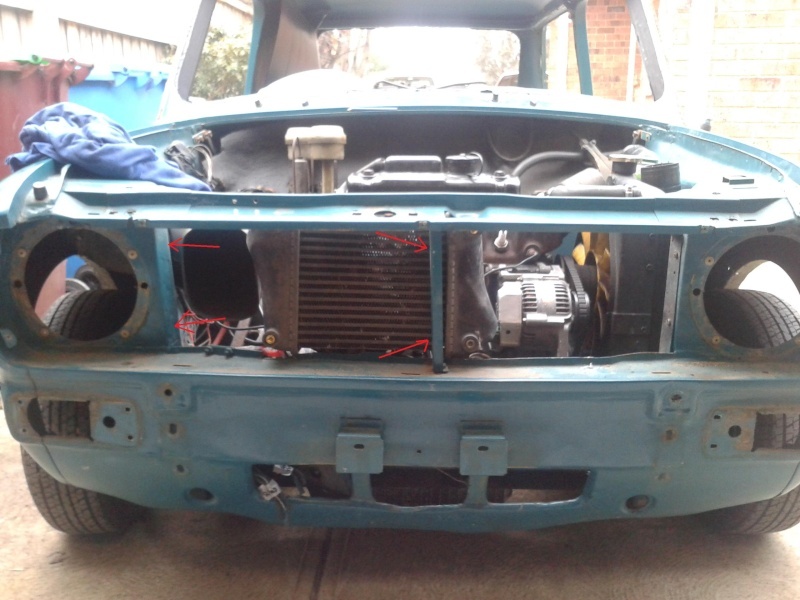 i will make the wrap around the intercooler so i can bolt them up to the headlight panel and the centre grill panel like the red arrows shows (see pic below), it will all be rubber mounted as you need it to flex a little bit. 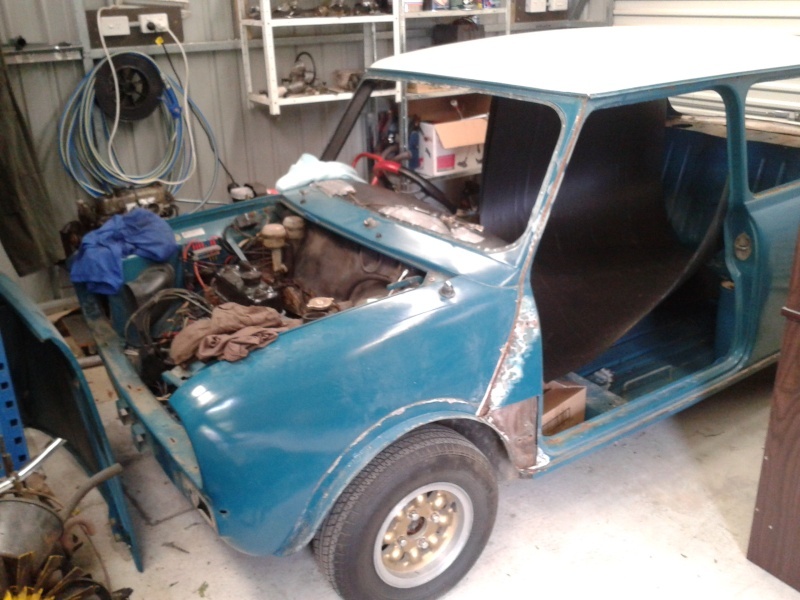 it will take a while to get right as i would like a neat as fit possible. 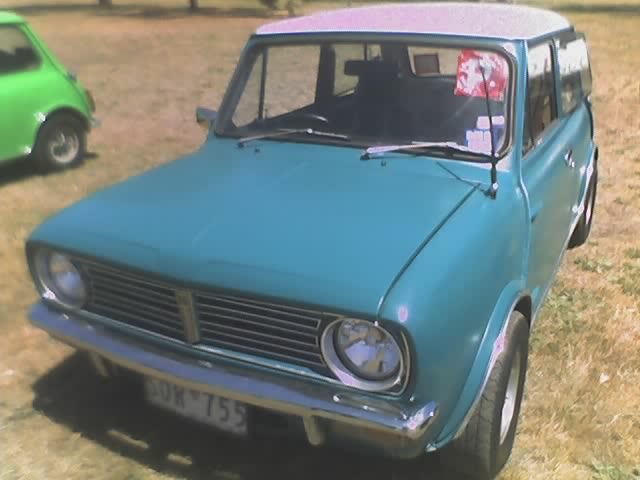 im thinking of finding another fresh air heater pipe, and cutting it down and putting it back into place to retain that factory look about the car. norm74 wrote: yeah im going to drill and tap the lugs and cut them down. Do you need it to be rubber mounted? 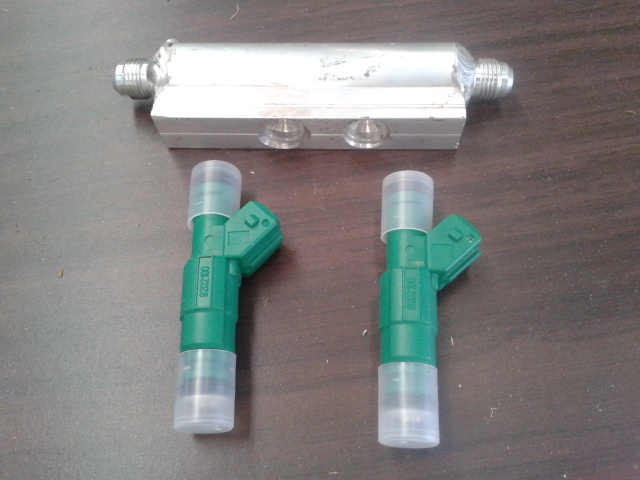 The hoses will be rubber at each end although fairly stif . I reckon should be alright solid mounted . Just watch your bonnet catch i think mine rubs the top of the intercoler. I was just thinking on the same lines as the factory. 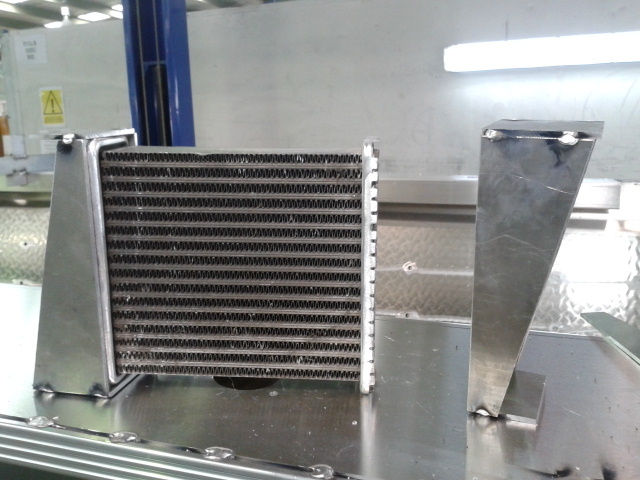 I have also cut the bottom panel to drop the intercooler a bit to clear the bonnet catch. Not much only a a few mm. I've dummy it to get the position right. I hope it all goes well. Did you use a MPI fuel tank or just a std with external pump. norm74 wrote: I was just thinking on the same lines as the factory. 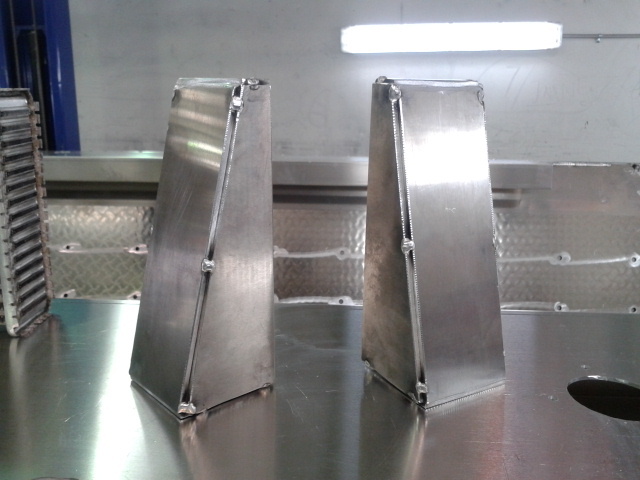 I have also cut the bottom panel to drop the intercooler a bit to clear the bonnet catch. Not much only a a few mm. I've dummy it to get the position right. I hope it all goes well. 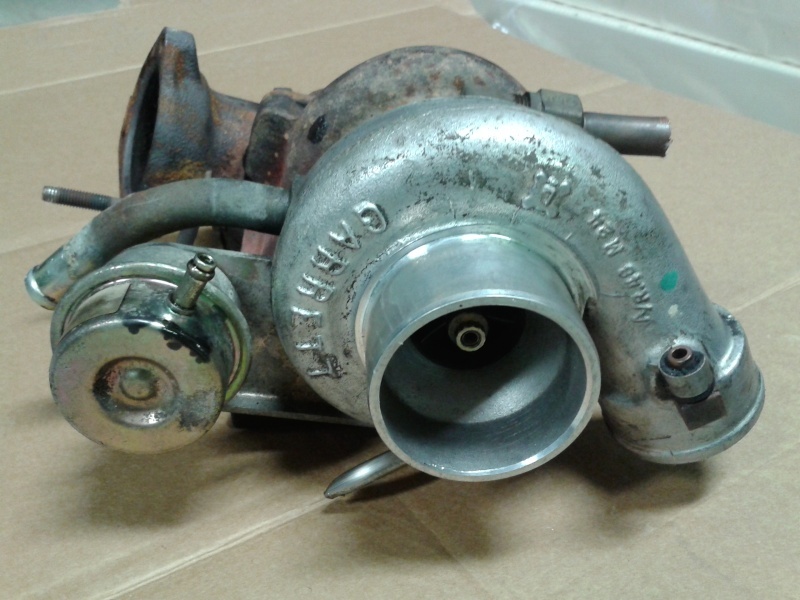 Did you use a MPI fuel tank or just a std with external pump. Yeah fair enough they must have done for a reason. 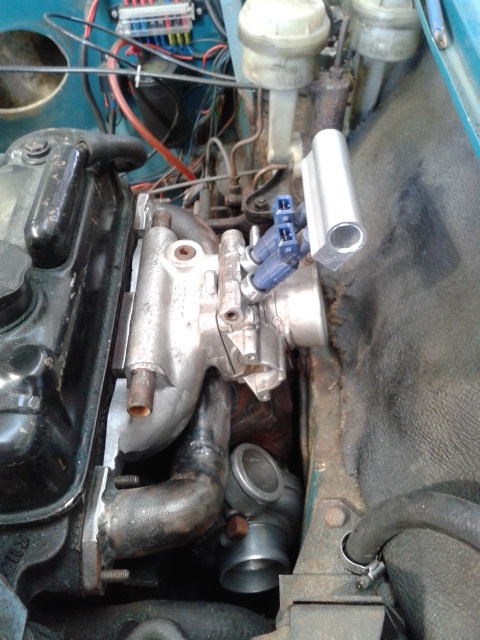 I use an injection tank not sure mpi or spi although i have heard pump pressure is diferent . I will have to check mine and see. I havent heard of anyone but i dont see why not , i was more than happy with the range from the 34L injection tank though. when cruising i get around 8-9L per 100km so around 400km range.